I write this tutorial to show how it is simple wakup a PC through Internet using WOL feature. The message is usually sent by a program executed on another computer on the same local area network. It is also possible to initiate the message from another network by using Subnet directed broadcasts or a WOL gateway service. 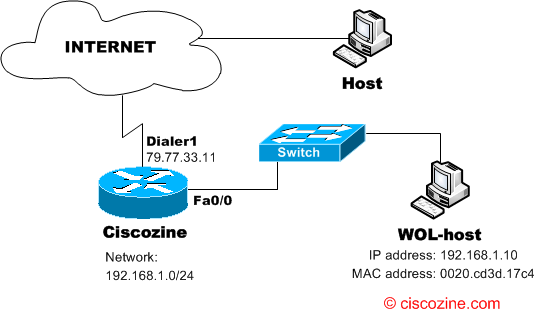 Wake-on-LAN is implemented using a special network message called a magic packet. 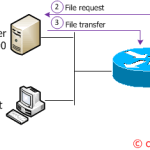 The magic packet contains the MAC address of the destination computer. The listening computer waits for a magic packet addressed to it and then initiates system wake-up. Step #1: Enable WOL feature in your Bios. To more details check your guide. Step #2: Download WOL software. 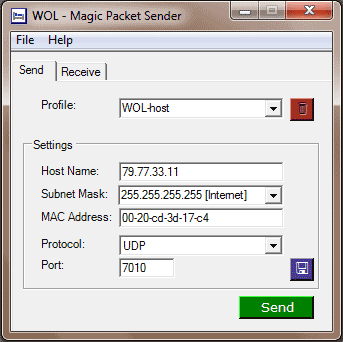 There are many WOL software (search with google…), but in this tutorial I use the Magic packet sender software (http://magicpacket.free.fr/). Where 192.168.1.10 and 0020.cd3d.17c4 are the IP address and the MAC address of the PC to wake up. Note: The switch does not required any additional configuration.